We will assess your needs and recommend the best option to adequately compete your project! Driveway Experts strives to provide our clients the very best in Saginaw Driveway Repair & Texas Asphalt Paving. We are fully insured and carry both Workman’s Compensation Insurance and Commercial Liability Insurance. On the rare occasion that any trouble or incident should arise, Driveway Experts has your back, and will handle any issue swiftly and at no cost to the home or business owner. The curbside appearance to any property plays a major role in how people view your home or business. Visualize your driveway as the welcoming mat to your residence or commercial real estate. Driveway Experts specializes in Texas Asphalt Paving and always presents detailed paving work that acts as the red carpet to your property. At Driveway Experts we realize how difficult it is to find a reliable contractor for your Saginaw Driveway Repair & Asphalt Paving needs. No matter the size of the asphalt paving project, residential or commercial, we’ve got you covered from start to finish. We don’t rest until our clients are completely satisfied, but it is our mission to do the job perfectly the first time around. Driveway Expert’s asphalt paving team is a well oiled machine that works tirelessly to provide precision paving at its very best. Your time and wallet are worth protecting and taking into consideration. We deliver a polished end result with every Texas Asphalt Paving project in a cost effective and timely fashion. You are deserving of a contractor that exemplifies a rock-solid work ethic and is result driven. Driveway Experts understand that with every satisfied client comes the potential for new business. That’s why we have perfected the art of customer service, and stand by our work 100%. Remove the speculation out of your selection for a Texas Asphalt Paving company. Driveway Experts is passionate about paving. 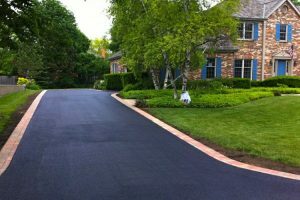 Allow us to rejuvenate the face of your home and business and bring new light to your coveted property.Driveway Experts strives to provide our clients the very best in Texas Asphalt Paving. Texas Gravel Driveways are excellent as acting as the red carpet to your property. It’s one of the first elements that people’s eyes focus in on when they arrive at your home. Driveway Experts’s Texas Gravel Driveways add a hint of old world charm and lay an elegant pathway leading up to your property. The benefits of Texas Gravel Driveways are more extensive than one may think. Driveway Experts is the foremost leader in Texas Seal Coating and Paving services. We help extend the longevity of your pavement with our professional emulsion seal coating services. Our company adds commercial grade polymers to increase the life-span and elasticity of the sealer itself.